Recently, Samsung announced that they’ve started offering a beta version of its video streaming service called Media Hub, but it’s only being made available to the AT&T version of the Samsung Galaxy S II. For those looking for a different alternative to the various video watching streaming services out there, some might be enticed by Media Hub’s catalog, which includes both the latest television shows and movies. Rather than going with the usual monthly subscription route, like some of the competition, Samsung’s Media Hub resorts to sticking with a buy or rent system. 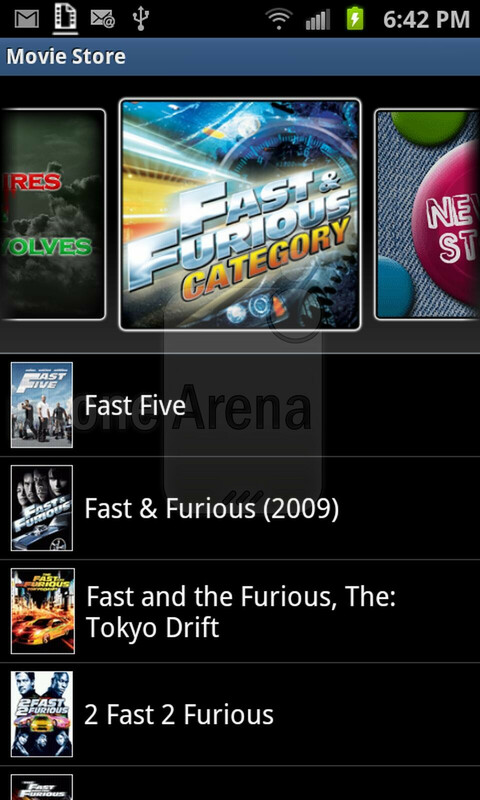 After quickly updating the app on our AT&T Samsung Galaxy S II unit, we’re quickly taken to the main menu where we’re presented with a carousel of featured items at the top – with menu items to get into My Media, Movie Store, and the TV Store. When selecting the latter, we’re again given a carousel of featured television show categories that we can use to further browse for specific shows. Now what’s nice about Media Hub is that new TV episodes arrive only a day after they are aired on TV – plus, episodes are generally priced modestly at $1.99. Getting into the Movie Store, we’re presented with the same characteristic layout, but this time around we’re given detailed information in regards to the selected movie – such as actors in the movie, the summary, and genre. Furthermore, instead of making a purchase to check out the movie, which you might actually not like, Media Hub offers a ‘watch preview’ option for you to check out prior to purchasing. Also, you can either rent movies for $3.99, or pay more at $17.99 to purchase the movie. Besides all of the fun loving and new titles available in the Media Hub, the neat thing about it is that you can watch your purchased title while it’s downloaded over Wi-Fi. Even better, if you purchase a show or movie, you can watch it on up to 5 Media Hub enabled devices – well, that’s as long as the video isn't expired. For those lucky enough to test out the beta trial, they have the ability to share and view content on 2011 Samsung Smart TVs as well. So how’s the quality with the shows? Well, they’re actually really good, especially while watching it on the brilliant Super AMOLED Plus display on the AT&T Samsung Galaxy S II. On top of that, we do like that interrupted Wi-Fi connections will only pause the download at its current place – as opposed to restarting entirely. So if you’re a video watching buff, then you might want to check out what Samsung has to offer with Media Hub. So uhm... Samsung has finally caugt up with the Android Market, or HTC Watch, or Blockbuster on Demand... shall I go on? Anyway, the part I'm most curious about... my Galaxy Tab 10.1 has been doing exactly this since I bought it two months ago. How exactly is this app being treated as fresh news? I have been using media hub since 2010 on my Samsung Vibrant! Yeah, this is nothing new. It was on my Samsung Vibrant last year and it came on my Samsung Droid Charge with a $30 credit when I bought the phone new earlier in the year. Way to keep up with the times, PA. Since you can only watch so many movies at a time during the month along with your other daily activities like work and such I think a monthly subscription is a way better way to go. If they offer just as much content that all the networks offer even hob and such I bet you could charge 30 to 60 dollars a month depending what channels you want just like cable and I bet people would like it. Basically I mean it would be the Sam as getting regular service from comcast but you can watch the stuff any time you want. And I mean all content. And on the free channels like NBC CBS abc and such there would be comercials. Another good idea would be to have an app that acts like your cable box that allows you to watch your cable channels live then also have access to all of the on demand stuff not just some of it. Basically just like having another tv in your house that you can take with you. My ipad2 or xoom would be even that much cooler to be able to watch the history Chanel live than switch to hbe to watch a show than NBC to watch the football game. 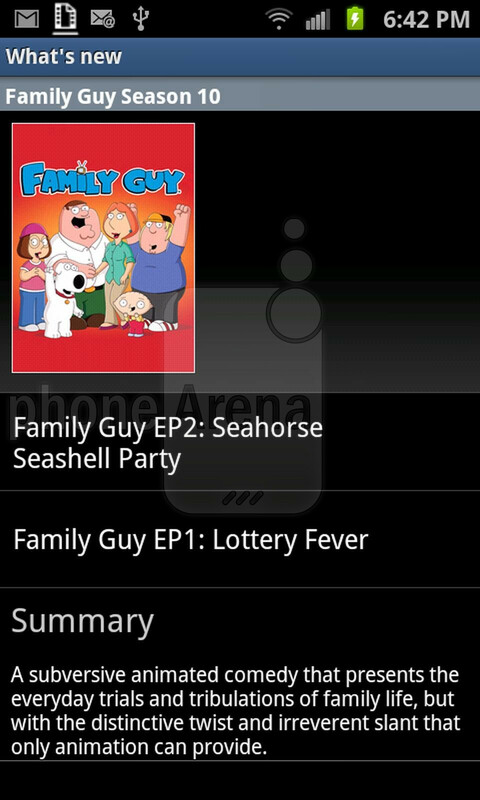 Oh and network tv could have adds. All those ways would not only make the provider money but also it would be legal in the fact that with subscription charges and advertisement money all the copy written stuff or basically the networks would get there same amount of money that they get from cable.